The gunners faced Chelsea last night and won the match 2 nil and Unai Emery was asked in his post-match press conference about the Denis Suarez deal. 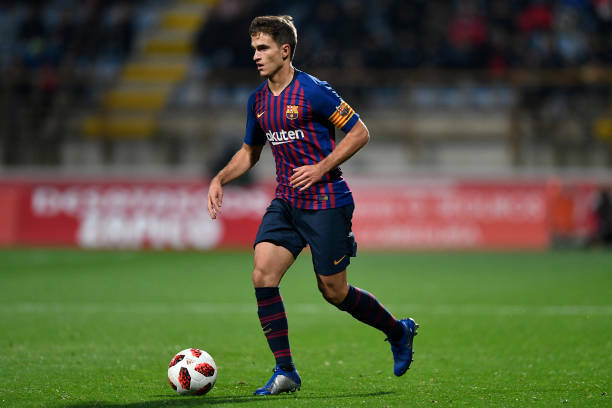 Denis Suarez has been linked with a move to Arsenal ever since the January transfer window opened and the gunners will be hoping that the deal gets completed as soon as possible. Denis Suarez has already started hinting at joining Arsenal this month. Arsenal hosted Chelsea at the Emirates Stadium on Saturday and the gunners won the match 2 nil thanks to a splendid performance from the North Londoners. Unai Emery then faced the media to have his post-match analysis of the game and there were some questions about transfers. “The club is working with many situations to help us. I cannot speak about individual players but I know the club is working with different possibilities if they can help us for these next four months.” Unai Emery told Arsenal Media. The Arsenal coach was then asked if they will have signed a new player before their Friday’s FA Cup fourth round game against Manchester United but he however avoided the question and gave a similar answer to that statement above. Most rumours claim that the deal will be announced next week. Unai Emery did say a few days ago that they are some private conversations between Arsenal and Barcelona but he however refused to reveal what those talks are about, for now as things stand, the deal is on and could be finished before the end of next week.